The Dominica Agricultural Industrial and Development Bank says it is playing an instrumental role in the proposed development of a new Integrated Communications Technology (ICT) facility in Picard. In a press statement the AIDB said the exercise is part of an overall development project by the AID Bank to encourage economic activity on island and to complement this effort by establishing the necessary infrastructure to generate new industries. Upon completion, the two-storey structure is expected to house incubator spaces for start-up businesses, a training centre, administrative offices and a day care centre. The building will be built to accommodate service industries such as ICT Based Businesses and E-Commerce Banking, call centres and tele-centres, data-processing units, high tech and electronic assembly facilities, as well as warehousing for companies at the Park among others, the statement said. AIDB said it has received US$4 million (EC$10.8 million) from the Caribbean Development Fund (CDF) for beneficiaries in Private Sector. Additionally, the AIDB said its new Line of Credit specifically targets viable projects in the productive sectors, cultural industries and energy efficient ventures. "Specifically, this Facility will fund new products and services; facilitate the upgrade and replacement of industrial plants and equipment, thereby giving fundamental support to potential, new and existing viable enterprises in the productive sectors namely Agriculture, Industry, Tourism and Services," the Bank said in a press statement released last week. "Aspects of the cultural industries benefitting from this new Facility include the broadcast media, film, publishing, recorded music, design, architecture, new media and the "traditional arts", namely visual art, crafts, theatre, concerts and performance, literature, museums and galleries. "The CDF Line of Credit compliments efforts to reduce the high cost of energy by giving much support to "Green Projects" or energy efficient initiatives which involve the application of Solar Energy, Wind Power, Biomass, Hydropower and Geothermal resources. 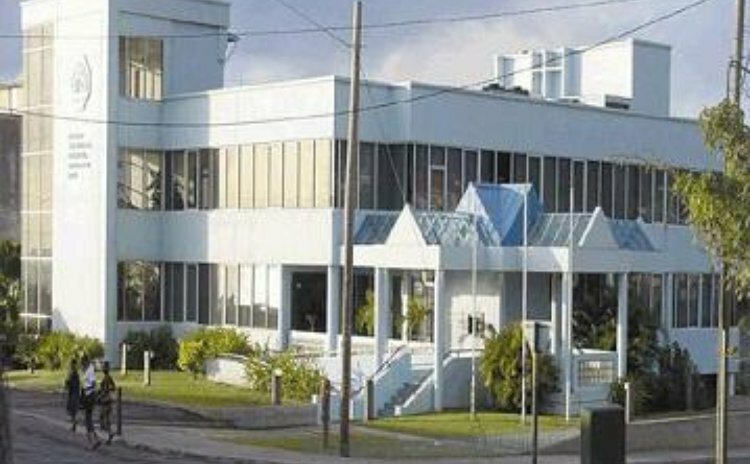 "The AID Bank's proven track record of promoting and influencing the economic development of Dominica and mobilizing funds for the purpose of such development is not only manifested in the receipt of this new line of Credit, but in providing an opportunity to enhance the diversity in the private sector, to create much needed jobs and to increase revenue and foreign exchange earnings," the statement said. Meanwhile, the Bank said it "takes its corporate responsibility very seriously" when it made donations to a number of institutions. The AIDB donated EC$10,000 towards the sponsorship of Miss Dominica 2013 - Miss Leslassa Armour-Shillingford's participation in the 2013 Miss World Pageant, being held in Indonesia this month. Samantha Letang, who represented the Discover Dominica Authority (DDA), received the cheque on behalf of DDA. "The AID Bank has invested millions of dollars in the Tourism Industry and strongly believes that Miss Armour-Shillingford's participation in this International Pageant will enhance the global visibility of Dominica and by extension, attract many more visitors to our shores," the statement said. The Dominica Cricket Association also received a donation, of US$1,250 (or EC$3,396 ); it was presented to the Association's President, Emmanuel Nanthan as the Bank's contribution towards the hosting of two Twenty20 cricket matches between the Trinidad and Tobago Red Force and the Windward Islands, which was scheduled to be played at the Windsor Park Stadium last weekend. In addition the AID Bank said it "was extremely pleased" to donate $1,500.00 to the Dominica Council on Ageing Inc. Nigel Lawrence, a representative of the DCA received the cheque on its behalf. The donation will contribute to the Council's celebration of "the Month of the Elderly", this September.